Helps to controls all types piles. 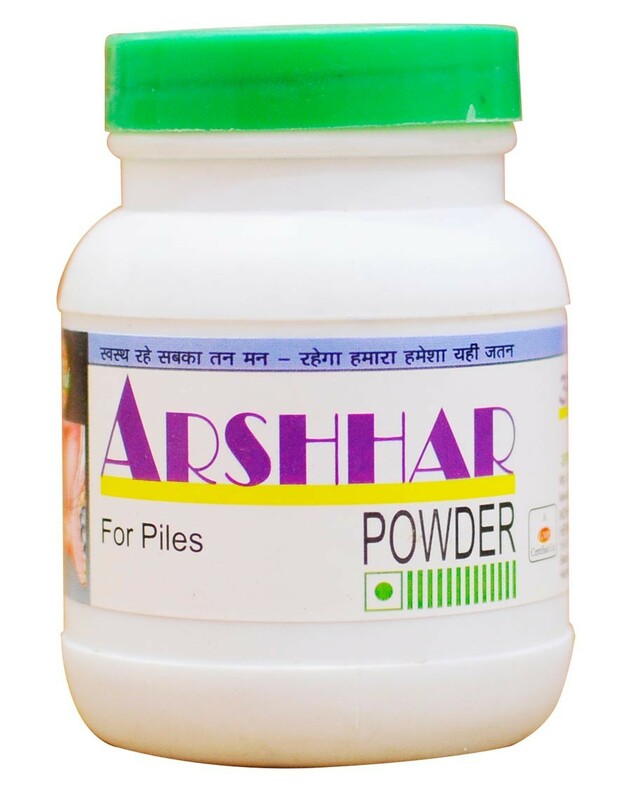 This Arshhar powder manufactured in Bikaner, Rajasthan is an aurvedic formulation that provides relief from piles. It is also known for providing instant relief from blood, swelling, and pain due to piles.